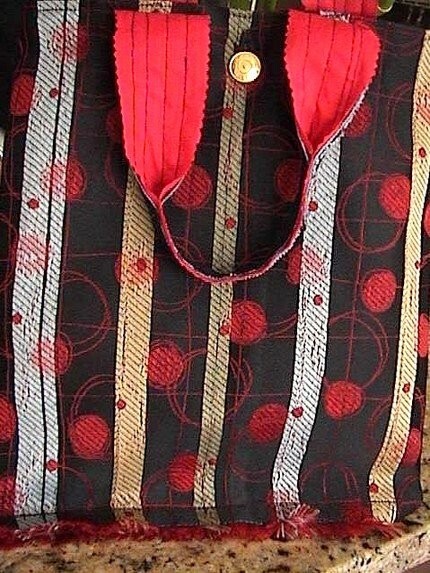 This is a nice new basically black and red tote that I made. It is FULLY LINED with toile fabric. This Medium sized bag can carry lightweight items such as knitting needles, crochet hooks, diapers, an umbrella, a wallet, magazines etc. 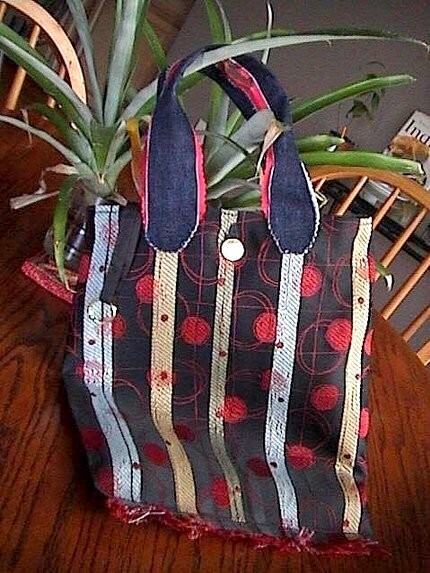 The straps are made of denim and a cute red fabric. Nice and unique FRINGE bottom. You have a keyring attached so that you can esily slide your keys on, and then let them hang inside of your purse. You can easily pull the keys out to unlock your door. I added a nice sized pocket on the inside, with a white button for closure. 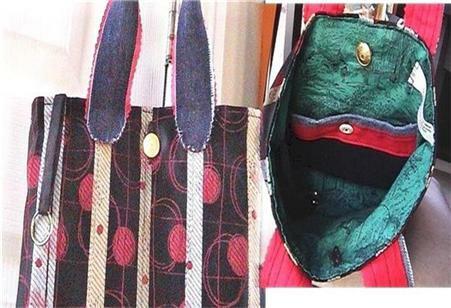 The gold button closes the entire purse. Unique, Stylish and Pretty.